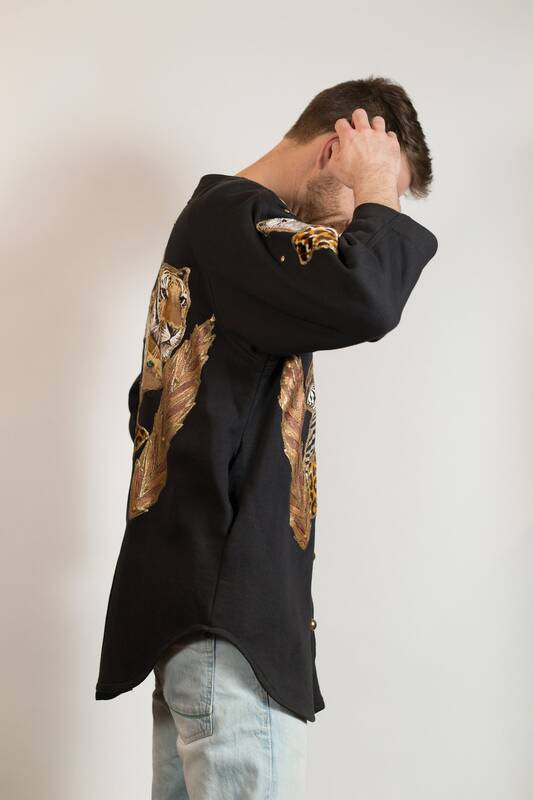 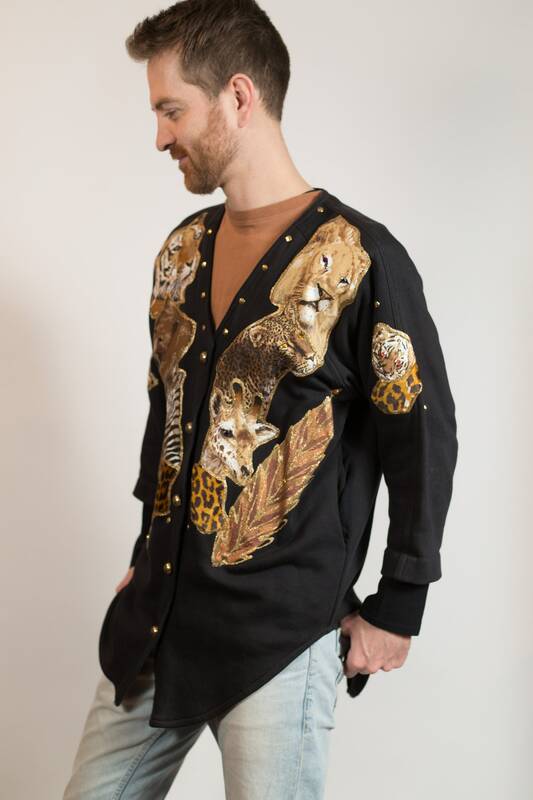 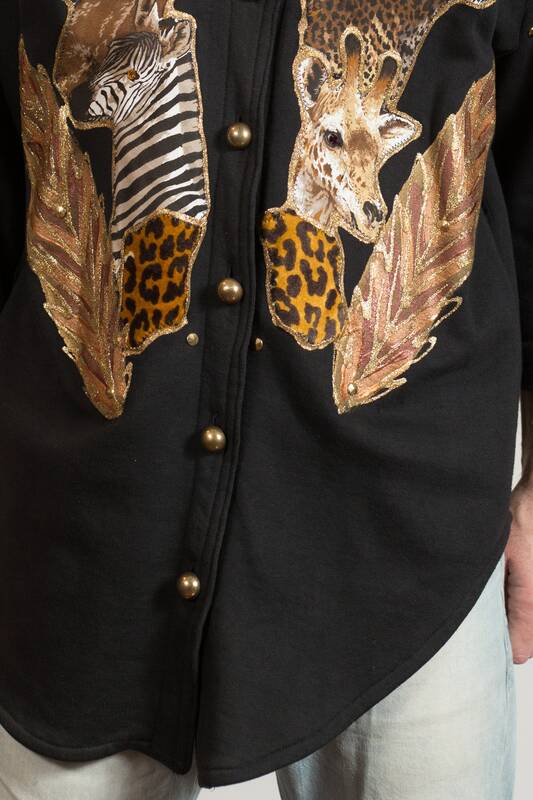 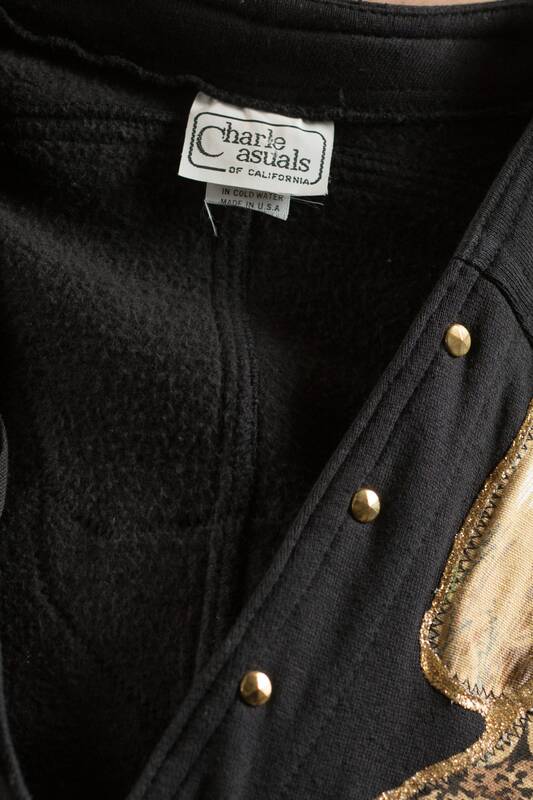 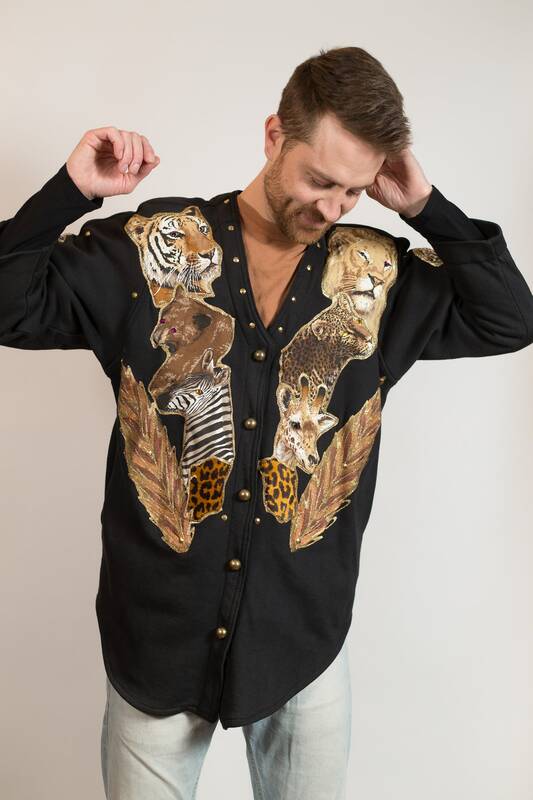 This is a unique safari print black sweater. 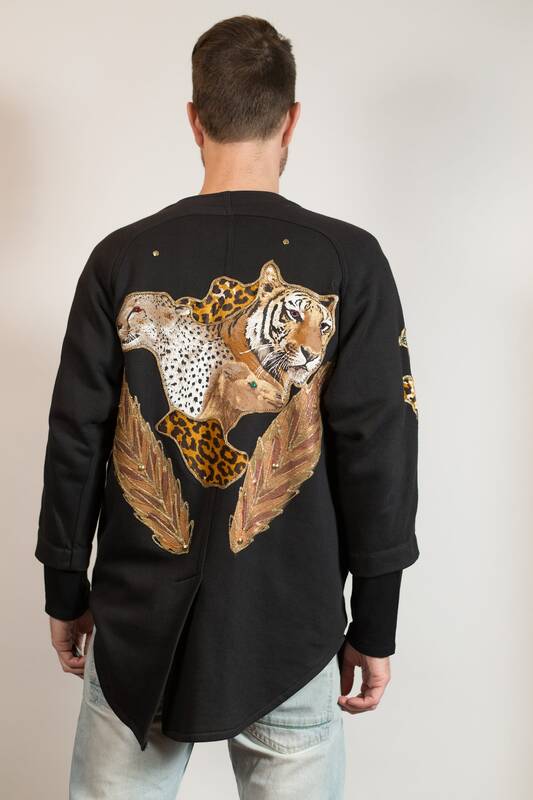 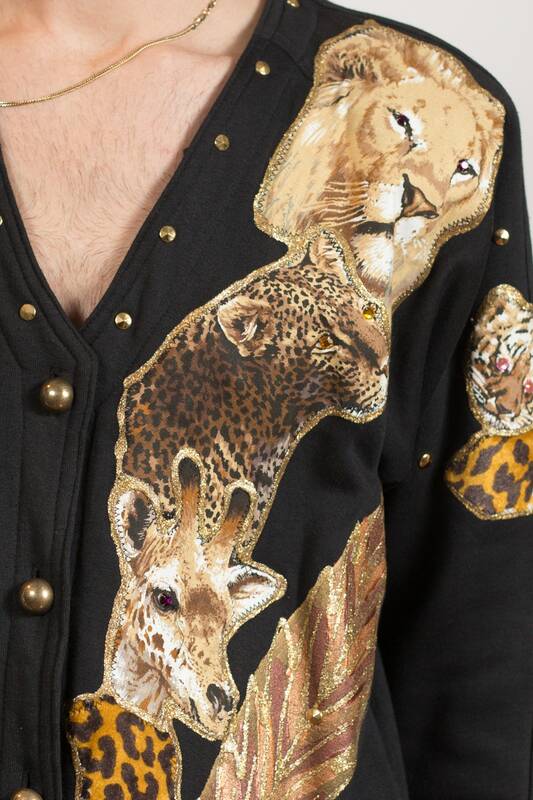 African animal faces have been cut out of fabric and sewn onto the sweater. 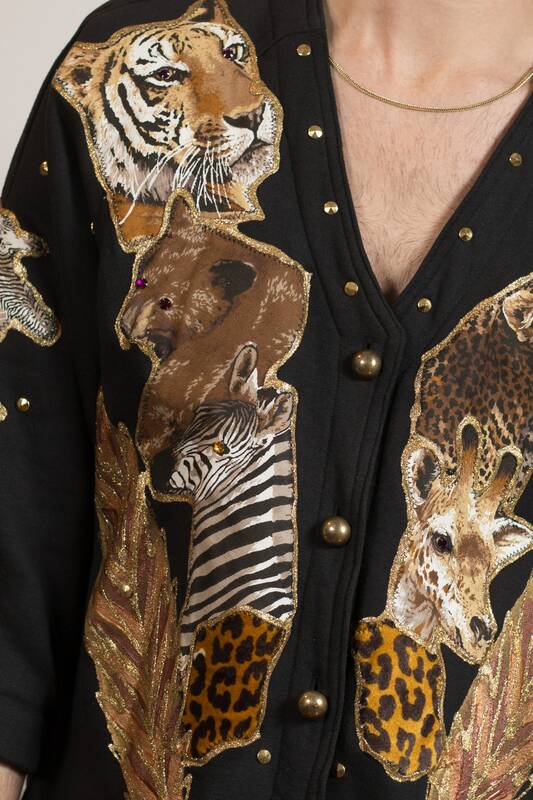 Gold glitter outlines the animal faces that include a giraffe, tiger, lion, bear, cheetah and camel. 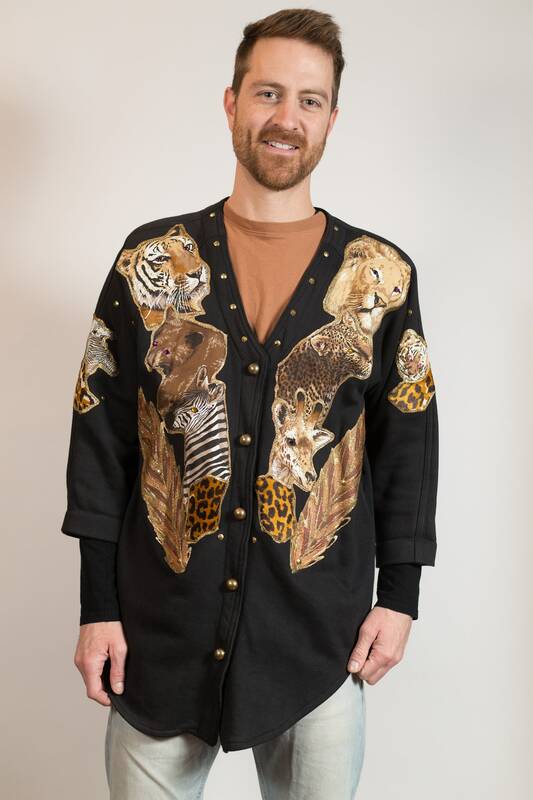 Size: women's large, men's medium (Model wears medium and is 5'11). 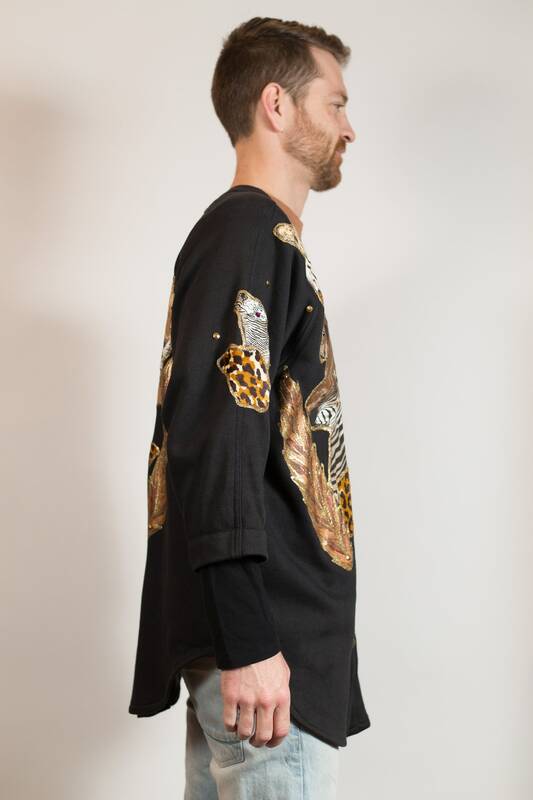 Length from shoulder to bottom of garment: 33"